Edited 1 time(s). Last edit at 01/08/2019 01:21PM by F_27stryker1. 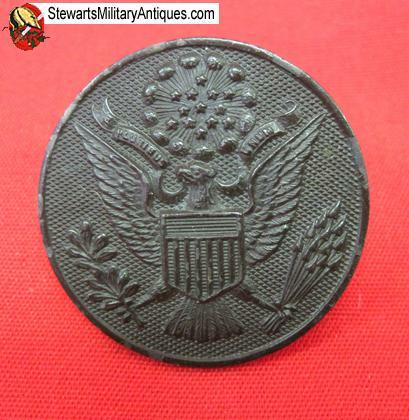 I can only tell you it’s a post-1902 Great Seal. That’s a very large size, though. Appreciate it guys. We had alot of people serve in ww1 here in the area, so I just assumed it was from that period. Wish it was in better shape but I'm still very pleased with it. Great looking piece, Congrat's to you on a nice piece of saved History. I often wonder that myself with alot of pieces. I could be wrong but I believe this is it. Yes, I believe I found something similar this past summer. Very large. I was told it was a large hat badge. Mine is newer though. Probably WWII. Great old find you pulled..
Edited 1 time(s). Last edit at 01/20/2019 08:10AM by floodplaindetector.